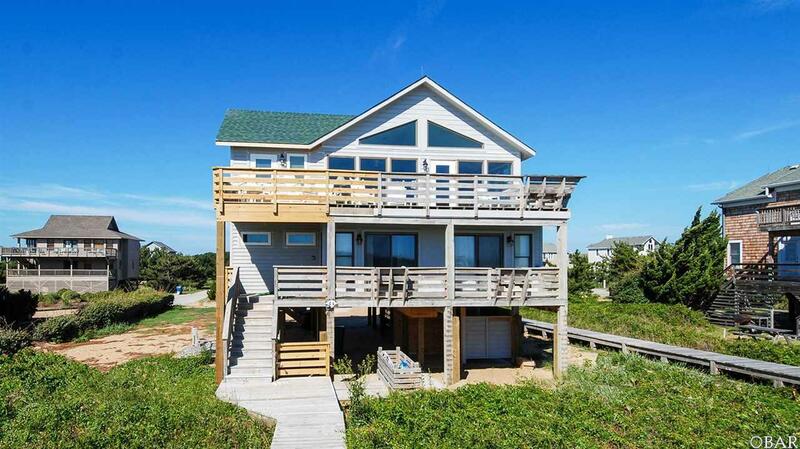 This stunning oceanfront has been immaculately renovated and is sure to please. Everything in this house is new this year. Pleasant coastal d'cor and sweeping views of the ocean from the great room and master bedroom. Bright, open floor plan is ideal for entertaining. 4 master bedrooms in all. Sun decks on the oceanside and soundside of the home offer lots of outdoor spaces. This one is a true gem and comes with all the fantastic amenities of Sanderling. Take a look at this gorgeous home today!